Jane Foster has been a design hero of mine for some time now, 13 years to be exact. 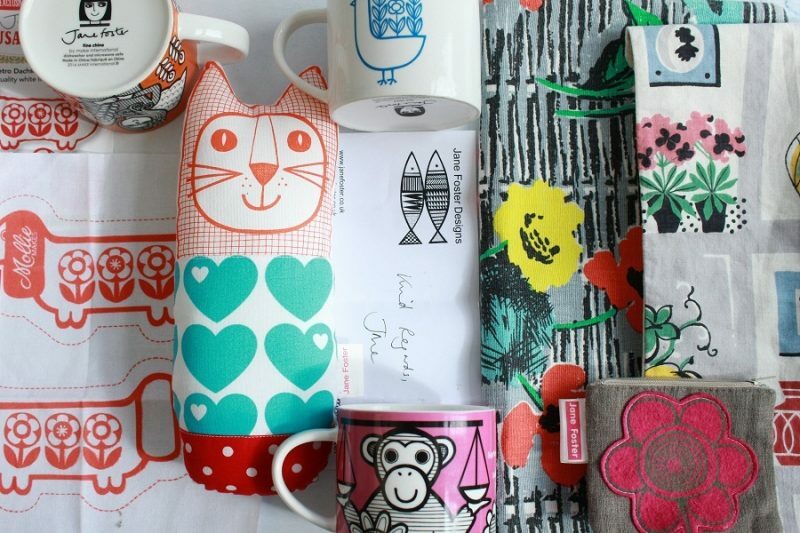 Her screen prints and illustrative work is simple, bright, bold, stylish and beautiful, it always puts a smile on my face. I walked around the house and rounded up as many bits of Jane’s work that I could find to share with you. I discovered her via Ebay circa 2003/4 we both lived in Brighton, a fact I didn’t discover until later. 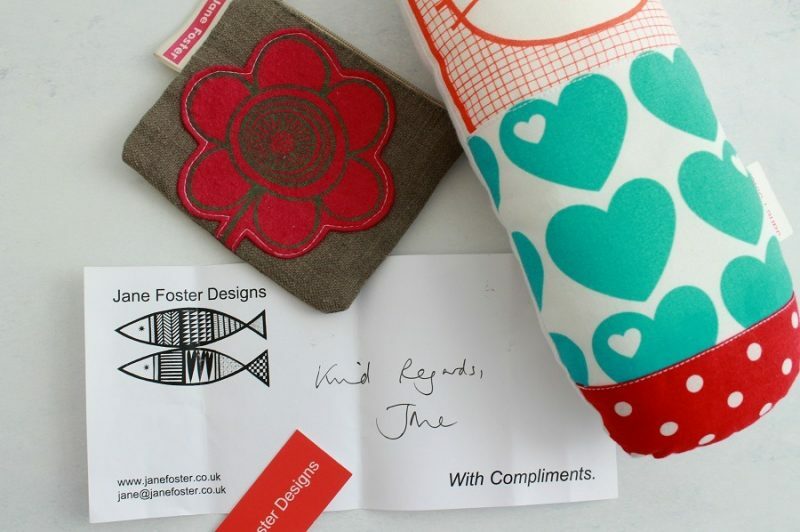 Back then I bought two of her handmade vintage fabric cushions and began following her creative design story. Quite by chance around the same time, my sister-in-law gifted me a pretty purse for my birthday, it was made by Jane Foster. We were keeping our love of Jane’s work in the family! Later we both moved West, Jane to Devon, me to Dorset. We started families. 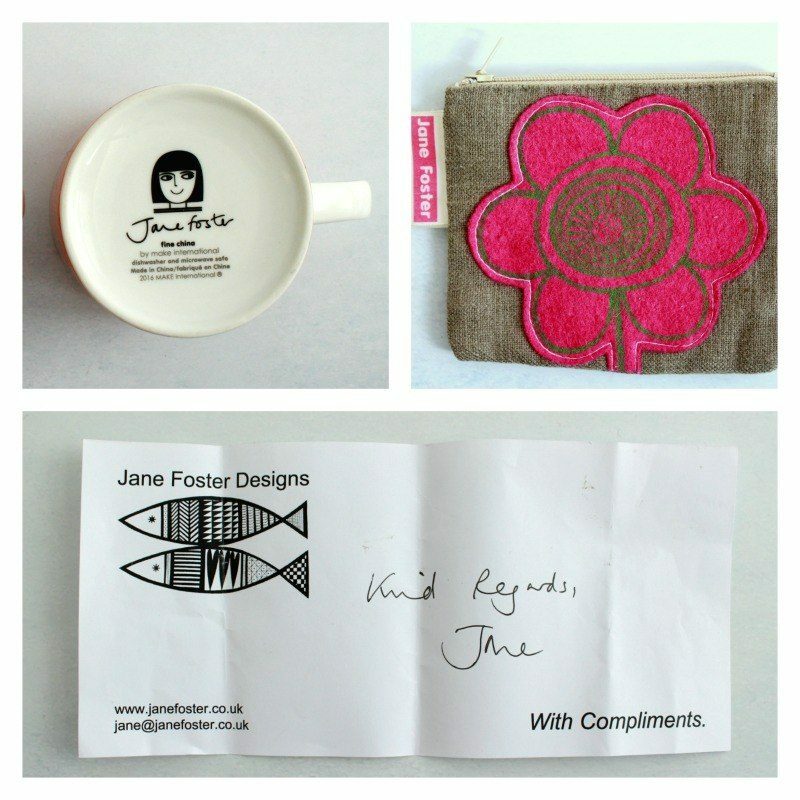 Jane gave up teaching music and began single handedly growing her handmade design business. I started blogging and refound my love of sewing, I found a part time job making costumes. Success doesn’t come with luck, it comes with hard work and not giving up. 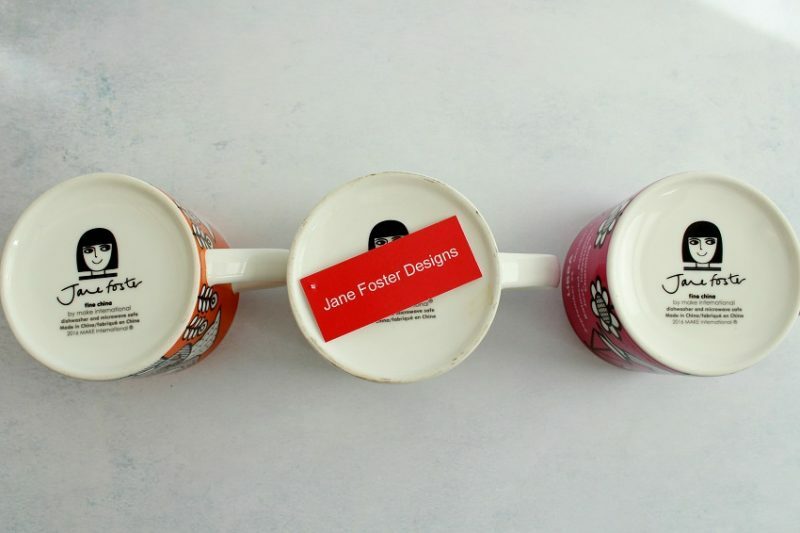 Fast forward a few years and today my family, drink out of mugs with Jane’s designs on them, we use Oven gloves with her designs on them. I have a stuffed cat I adore that sits on my office desk. I buy mugs as gifts with her brilliantly designed and fun interpretations of the Zodiac signs on them. Then in 2014 went on to win the Established Business Award. This year she was a judge on the panel for the same awards. She has written many colourful children’s books too. 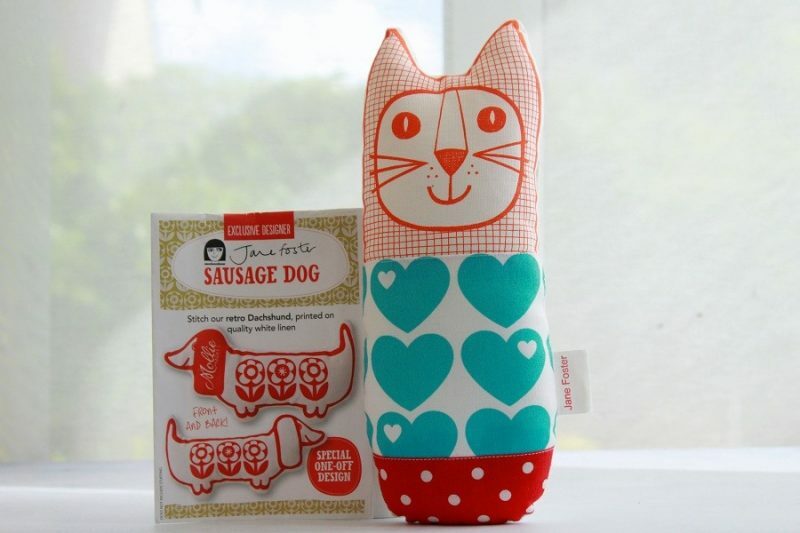 You can see more on Jane’s web site. I love that she has a self portrait as her brand logo, dont you? 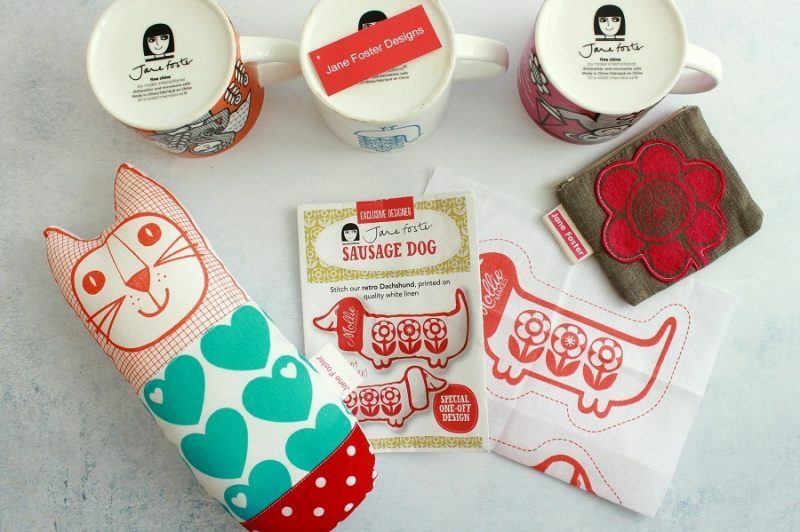 My favourite things are the items I bought in the early years, the products I know Jane made with her own hands. 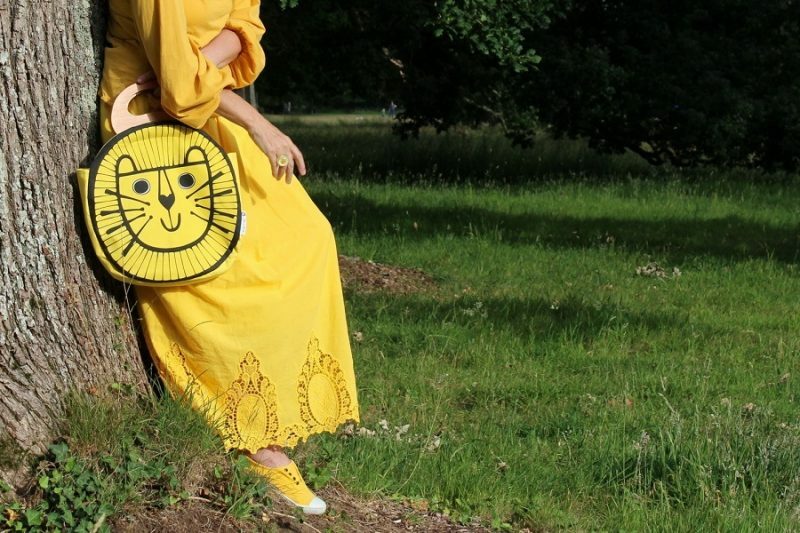 I imagine her probably staying up late at night to stuff and sew and package her products, then getting up early to do the school run. Success doesn’t come with luck it comes with hard work and not giving up. 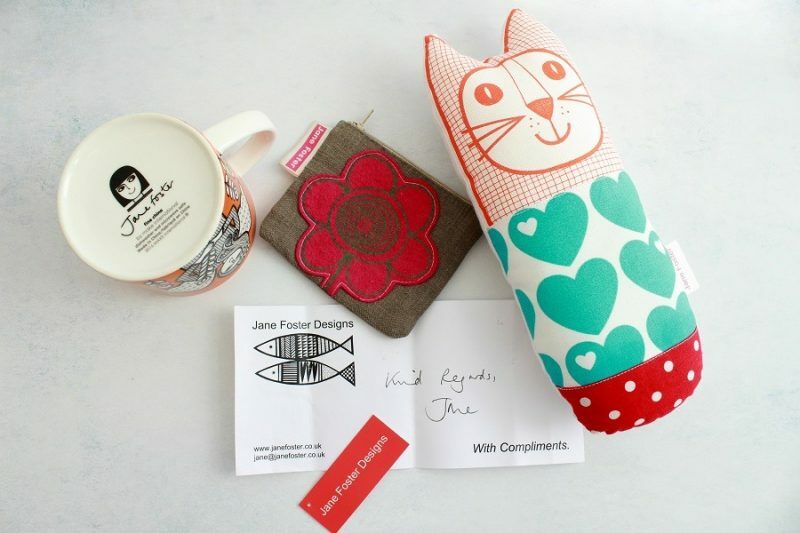 I take my hat off to Jane, she started her design career late in life (in her late 30’s) I’m hugely inspired by her story it proves that it’s never too late and to always follow your heart. I for one am so glad she did. One big favour to ask of you before I sign off for today … will you vote for me please? I have been nominated for an special award. You just need to leave your email and untick the box if you dont want to receive any more info? It’s so quick and easy just click the pic below to take you to my voting page. Thank you in advance! Next Post Are you ready for the Ashley and Laurie link-up? Wow I love her designs. They’re so distinctive. So good to see Jane has seen your post! Hello and Thank you lucy! Isnt she genuinely nice? bestest and thank you for the vote! Hi Natasha yes she is awesome indeed! Hi Carolyn Thank you for popping in to say Hi, Jane is amazing isnt she? 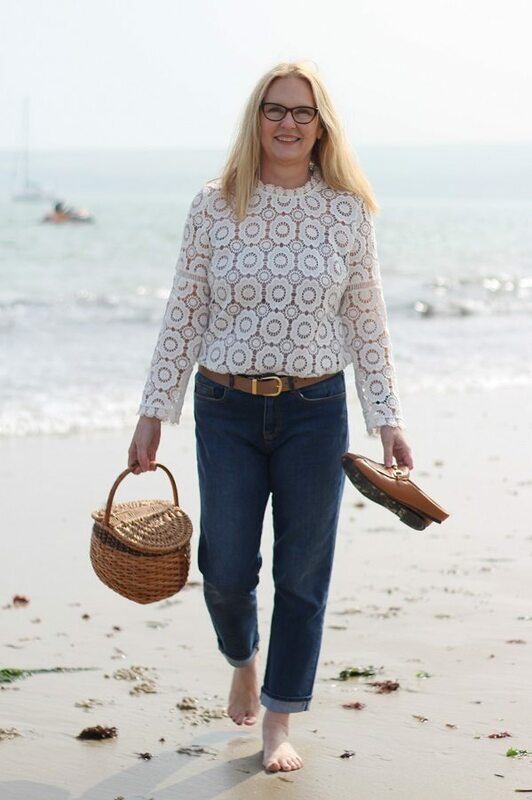 blogging is much harder than it looks, lots of work too, but lots of fun along the way! 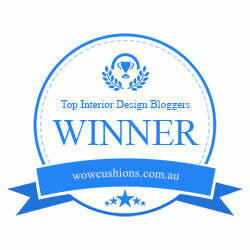 Thank you so much for this super blog post! I feel so happy to have just come across this and can’t quite believe you’ve been following my journey all these years. Please email me your address so I can send you some more goodies for your collection. Oh my goodness Jane is that really you!!? Yes I suppose you can say I have been stalking you for years! !